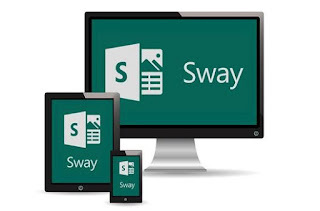 I first learned about Microsoft's SWAY at a summer Camp 21 Conference in Toronto about 4 years ago. I remember a Grade 2 teacher presenting there on how her students used SWAY in the classroom and being super impressed. I couldn't imagine myself using it let alone training a class full of 6 and 7 year olds on how to use it. This teacher was using it as a platform for the students' projects. It just seemed amazing to me that students were able to express themselves in this way and present their ideas in such a coherent and impressive manner! At this point in my career, ten years in, I had mainly had my students create pen to paper projects. Perhaps at this point I had started to have my students dabble with the odd Pic Collage to enhance their work. But in any case, my relationship with Microsoft and technology in general was about to grow and improve my vision and practices as an educator! Once I started using SWAY a few years ago, I never looked back. I'd like to take you through a short journey of how my students have become savvy at SWAY this particular school year. Being willing to be a risk-taker is the first step when engaging in any new technology. You have to know there WILL be hiccups when using any tech. But what can stem from using it is worth every potential risk and hiccup! My students may have first been exposed to SWAY through my monthly newsletters. 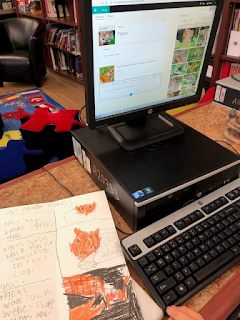 I started using Sway as way to communicate monthly happenings to the parent community. But I was ready to use it in the classroom with these eager students. 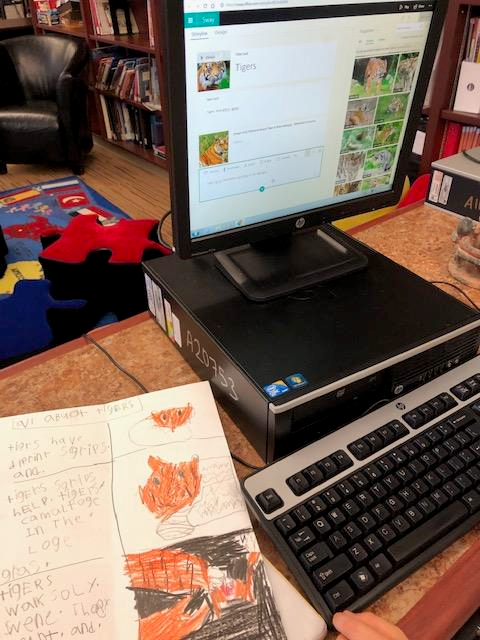 Together, with my Teacher-Librarian, we took on SWAY Social Studies projects in the Fall. 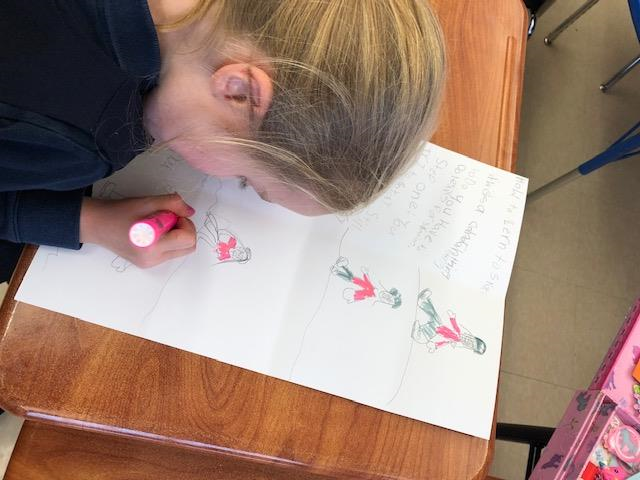 The students focused on a Celebration and Tradition and began creating their projects on paper in written form. Their parents were also interviewed as part of the project. On their written sheets students were told to make an "X" at the end of each paragraph. This was to help with transferring their written work onto the SWAY later. The "X" meant: new slide. From there students were taught how to create a SWAY using the desktop computers and laptops. It was great that we had myself, the Educational Assistant as well as the Teacher-Librarian to circulate and trouble shoot with the students as there were many questions those first couple days. 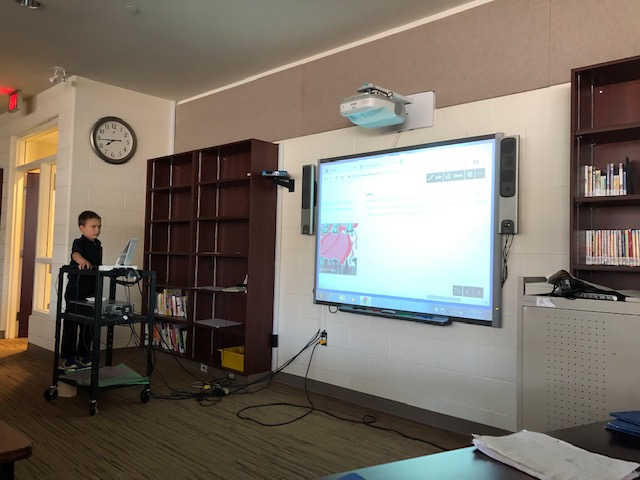 However, because SWAY is so user-friendly the students immediately took to it and loved using it. The fact that images can be so easily embedded was great as young students love to tell stories using many visuals. 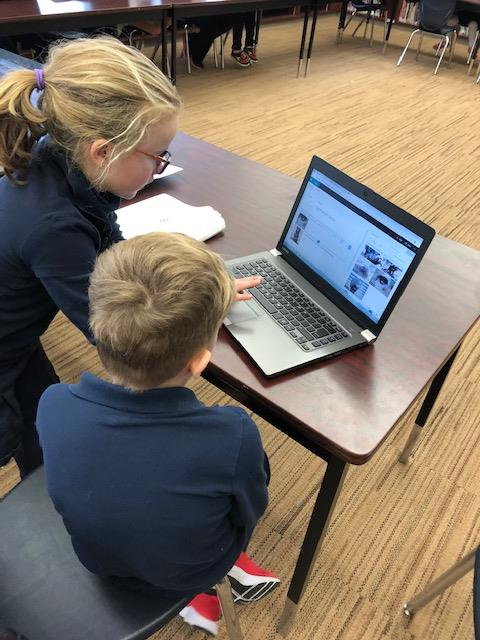 Students felt empowered by the easy search bar in SWAY, the built-in photo library is an incredible asset so students do not need to be toggling between different search engines, clip-arts etc. to attach or include photos. It is all within the SWAY platform! 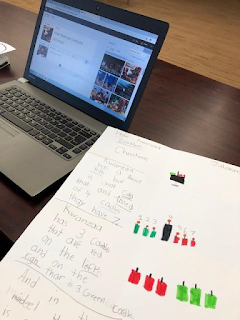 Students completed their projects with a real sense of pride...And "playing" their SWAYs for the first time gave them a real thrill as their slide deck came alive-- so professionally. This was even more impressive on the Smartboard for all to see during class presentations. This week I told the students they were permitted to create a SWAY on a topic of their choice. It could be a non-fiction, a "How-to" procedural text or on a subject that related to them personally such as dance. One student wanted to make their SWAY about elephants after skyping an elephant sanctuary earlier this school year! ...But more about Skype in the Classroom in another Blog...I simply took a large piece of paper and folded it into eight sections. I told the students that these were their planning sheets and that each square represented a different slide. The very next day they were able to hop on SWAY and transfer their information onto the SWAY program itself. The students worked on them totally engaged. The experts helped the ones who still needed some assistance. This all happened so effortlessly with only one previous SWAY project under their belts. The students know how to access their Microsoft tools from home and are invited to go home to edit or practice presenting to their family before presentations on Monday. I can't wait, and neither can they!